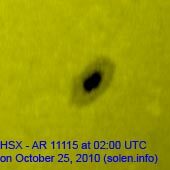 Last major update issued on October 25, 2010 at 03:55 UTC. 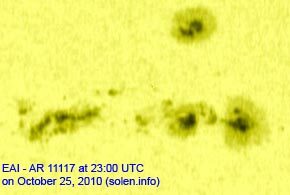 The geomagnetic field was quiet to unsettled on October 25. 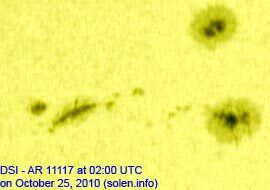 Solar wind speed ranged between 548 and 662 km/s, under the influence of a high speed stream from CH426. 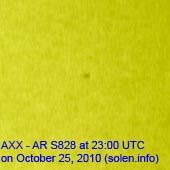 Solar flux measured at 20h UTC on 2.8 GHz was 86.2 (up 3.0 over the last solar rotation). The planetary A index was 6 (STAR Ap - based on the mean of three hour interval ap indices: 5.9). Three hour interval K indices: 21112131 (planetary), 11222122 (Boulder). 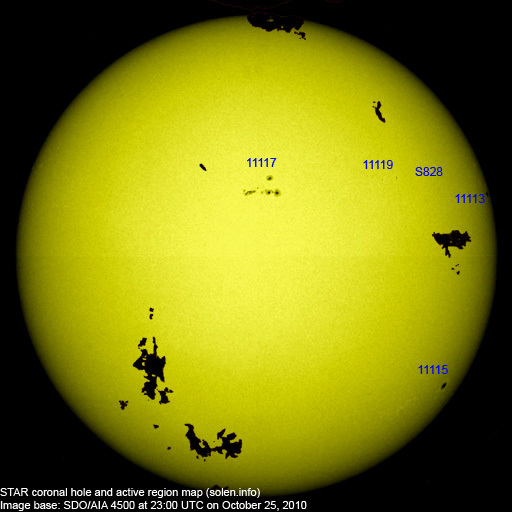 Region 11113 was quiet and stable and is rotating over the northwest limb. 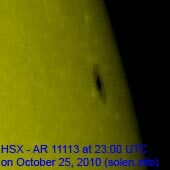 Region 11117 developed and has M class flare potential. 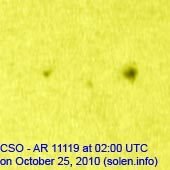 Opposite polarity spots are poorly separated in the trailing spot section. 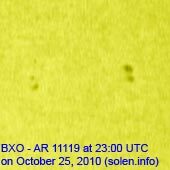 Flare: C2.3 at 22:12 UTC. 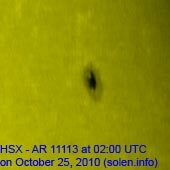 Region 11119 developed early in the day, then decayed. 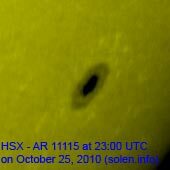 October 23-25: No obviously Earth directed CMEs were seen in LASCO or STEREO images. 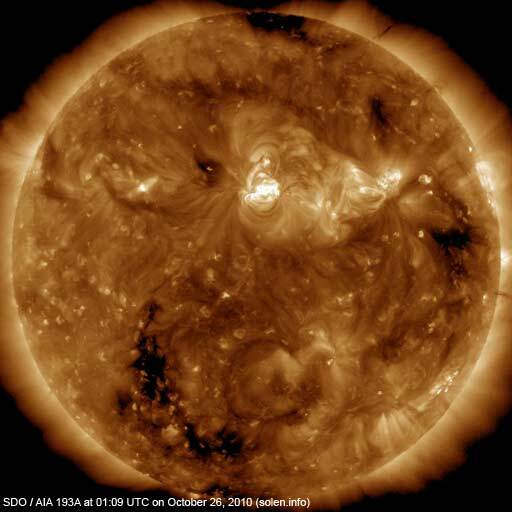 The geomagnetic field is expected to be quiet to unsettled on October 26 due to effects from CH426. Quiet conditions are likely on October 27-28.